A traditional recipe of Lombardy, good for a lunch in winter. 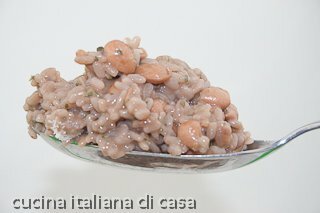 Notes to recipe: Risotto with beans is a traditional recipe of Lombardy. Easy to make and tasty recipe. 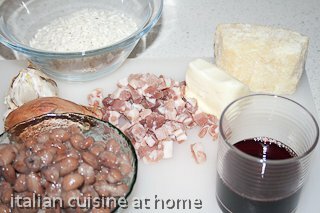 See all the preparation steps and cooking technique for cooking risotto in the recipe with pictures.